Buffalo Sabres defenceman Rasmus Ristolainen has been handed a three-game suspension for his hit on Pittsburgh Penguins forward Jake Guentzel. The suspension was handed down on Thursday by the NHL’s Department of Player Safety. The hit in question took place at 8:46 of the first period as the Sabres faced the Penguins on Tuesday. 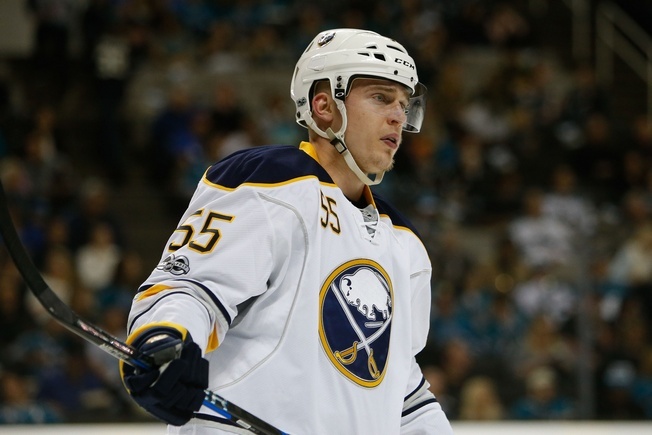 Ristolainen was assessed a major penalty for interference and a game misconduct. Guentzel struggled to get to his feet after the play and his face was bloodied. After the game, it was announced that he suffered a concussion. On Thursday morning, Ristolainen was already talking about how he agreed with the game misconduct – even if he claimed to not necessarily be mindful of the rules. 22-year-old Guentzel has been having a terrific year with the Penguins. He’s been playing on a top line with Sheary and Sidney Crosby. He has 25 points in 35 games this season thus far and has been piling up the minutes. It’s a big jump for the guy who was trying to find his legs a year ago in the AHL. Ristolainen has also been having a terrific year, with 44 points in 74 games. He has 25 points on the power play and has been one of Buffalo’s most effective defencemen this season. In 268 games, all with the Sabres, the Finnish blueliner has 109 points – including 24 goals and 85 assists.